This year will mark the 40th year of this exhibition. 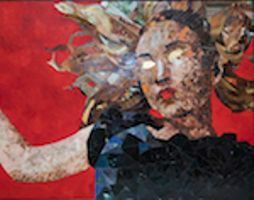 Organized and hosted by the Art League, this juried exhibition will highlight the work of talented high school artists from eleven area high schools. High school art teachers select the best works by their students to submit for the show. Professional artists in each category will select those to be included. There are usually over 300 entries and only 1/3 will be chosen for the exhibit. Cash awards are given by category and for the “best of show.” In addition, there are several special awards bestowed. One of our most-visited exhibitions, New Artists annually draws over 4,000 visitors from throughout our region. Museum will be open Easter Sunday.